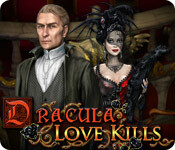 Dracula: Love Kills is rated 4.3 out of 5 by 45. Rated 5 out of 5 by DelennDax7 from A True Adventure! It took me 11.5 hours on Hard mode. There were plenty of challenging puzzles & the HO scenes were pleasant-but there were tons of them & I got a little tired of them after awhile. But, I really go in for the old-school story-rich Adventure type games rather than the HO ridden sorry excuse for what passes as an "Adventure" game these days. Yes, I loved HOGs when I first started playing them but for me, I prefer Adventure over HOGs. I only skipped maybe about 3 puzzles..and that was only after trying to do them. Absolutely wonderful game and I definitely recommend it. Oh and also, there was no scary or gross stuff, considering it's a Vampire story. 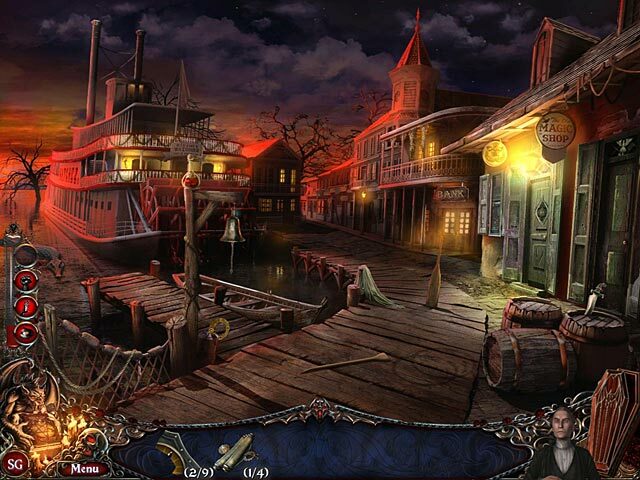 Rated 5 out of 5 by SpicyCinn from Dracula:LoneKills This game is for us who truly like a lot of hidden objects and tons of great puzzles this game has a good sense of humor also i will play it many more times just to collect ALL the trophies. Thanks 2 the creators. Great job! Rated 5 out of 5 by Kimmycoo from Bloody Awesome! Literally! If you played the larger game of this, the one you had to install disc after disc on your PC, youll recognize the same Van Helsing from that game in this one. Sorry I think it was just called, Dracula. Of course you can get the long adventure game here on Bigfish as well now. I loved that they made an HOG of Dracula. 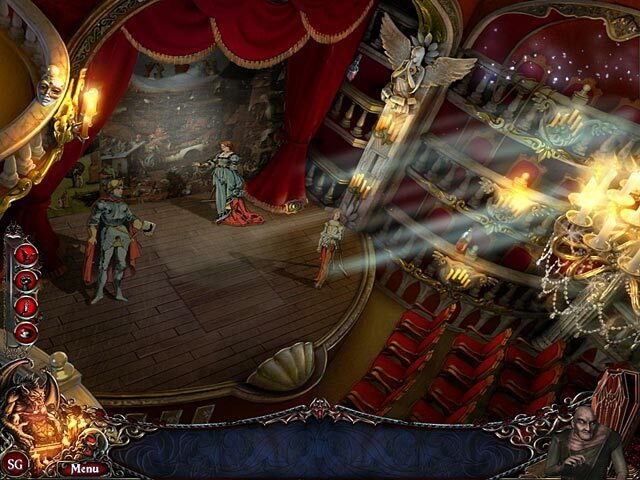 He and Helsing work together in this game in order to save Mina, though who will get her in the end? Will she be eternal or will she die at 90 years old, a human, in her warm bed?? I enjoyed the music, it was very dracula-ish. I loved that you could find parts of a puzzle and go ahead and place it even though you hadnt found all pieces yet. You have a nice map, that tells you if you have something you need to do at each location. I loved, loved, loved the voice overs, they were excellent. This was a long game at over 6 hours or more. I think the Collectors Edition would have been better. BTW you can choose if you want to bite someone or not. I suggest either you do or you dont. If you do sometimes and dont sometimes, youll miss achievements. I loved looking for blood in each scene too. Great game, 5 stars from me for the accurate sounding voice overs, for doing a HOG of Dracula featuring he himself, Van Helsing, Igor and Mina. Rated 5 out of 5 by tesamoine from Love me a good dracula game :) I'm playing this way after it was released. I played another Dracula game today, so was in the mood for this theme I suppose. This is a good one. Very good voice overs. You get a helper (Igor) who is just too funny. Mostly adventure and puzzle based game. The HOS I did run into were easy. They were a bit dark however. Puzzles ranged from easy to challenging. I had a blast playing the demo and with the sale this weekend am purchasing after this review. 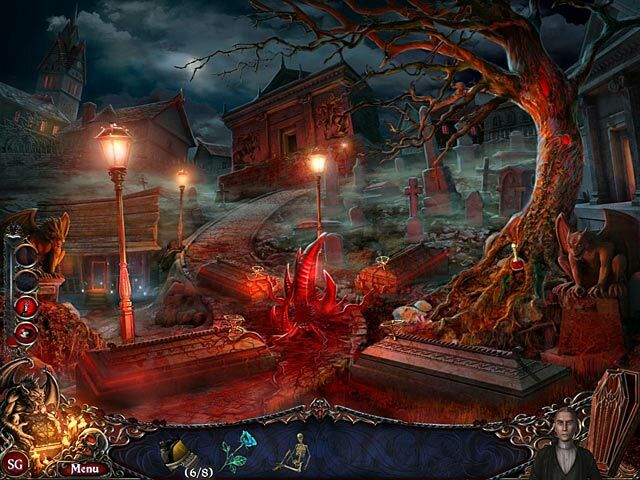 Rated 5 out of 5 by Boomer1097 from Fun with Vampires I loved this game! You play as Count Dracula. You have Igor as your sidekick and you hook up with Dr. van Helsing. The graphics are good and the voice overs are appropriate for the storyline. The HOS are excellent and the mini games are acceptable (nothing unique). There is a lot of dialogue, but it adds to the story and is humorous. There is an interactive map that you earn shortly after the game begins. There is a hint button, but you won't need it. The Igor character cracked me up! For an SE, this game was packed with achievements to earn and blood containers to "bite." In addition, you earn special powers as you complete certain portions of the game. The ending to the story was satisfying. I highly recommend this game! Rated 5 out of 5 by luckaysevin from New twist on a OLD tale! Awesome game! I love how two "old enemies" "team up" against an adversary....Even IGOR had a say!! Graphics awesome, story line so cool, traveling around was definitely different and I was pleasantly suprised, the puzzle and HOS were excellent, even Dracula's "special powers" were awesome. I love how you can choose the outcome of the game by just your choices in the game! WOW! Brilliantly Done!! Rated 5 out of 5 by FLYSPEK from Puzzles Galore I don't usually play vampire games because they're pretty much all the same. Dracula: Love Kills, however, is clever and engaging. This is one of the very best HOPA games I've ever played. It took me 7 hours to finish in hard mode. Puzzles, puzzles and more puzzles-ranging from easy to pretty hard. Lots of HOG scenes too. I was amused how they modeled Igor on Marty Feldman. All in all a fun game with high replay value. Rated 5 out of 5 by Sere82 from Love at first sight! …10 minutes of demo and I was competely in love with this game! It took me more then 6 hours to complete but I would have gone ahead playing for hours…I was really sad about finishing my adventure with the fascinating Conte and his comic servant.. Intriguing storyline, superb graphics, a lot of stunning different locations to explore, varied and entertaining gameplay, dialogues a bit long but interesting to follow and good music which fit perfectly to the atmosphere..It’s a perfect mix of enchanting and colorful HOS and original and very funny puzzles, some also really challenging.. Even if is only a SE, you have many achievements to get, even if to complete the collection I guess you need the CE…I regret I did not buy that one! Is really a superb game, in the top 3 of my all times favourites games..Absolutely recommended!